This Presentation date is July 28, 2017 at 14:30-16:30 local time. Gavin Cohen, VP of Marketing and Solutions for Nimble Storage, and Calvin Zito, Storage Evangelist for Hewlett Packard Enterprise, introduce the Cloud Field Day 2 session and discuss the integration of Nimble Storage into HPE. 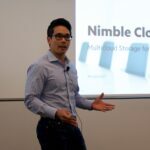 Douglas Ko, Cloud Strategy and Solutions for HPE Nimble Storage, introduces Nimble Cloud Volumes and discusses how and where to use them. Sandeep Karmarkar, Strategist, Product Management, demonstrates HPE Nimble Cloud Volumes in action. Calvin Zito, Storage Evangelist for HPE Storage, introduces Cloud Bank. This is followed by a demonstration by Bharath Ram Ramanathan, Technical Marketing Manager. 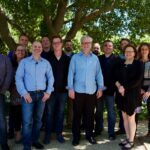 What’s Next with HPE InfoSight? Rod Bagg, Vice President of Analytics and Customer Support at Nimble Storage, discusses Nimble’s InfoSight and how it will fit in with the broader HPE product range in the future. Rochna Dhand, Director of Prudict Management, demonstrates HPE Nimble InfoSight in action.